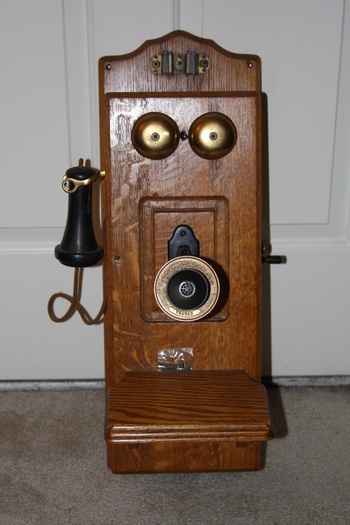 In Telephones > Wood Telephones > Show & Tell. I love my wall phone. It works!! You can receive calls, but can't call out for ovious reasons. I don't know how old it is, possibly someone who sees this can tell me by the number on the picture I have posted. Would very much like to know. It appears nearly identical to the models shown on the first several pages of the Stromberg-Carlson "1905 Magneto Telephone Brochure" [ http://www.strombergcarlsontelephone.com/S-C%20PDF/1905%20BULLETIN%20NO%2019.pdf ], with the exception of the receiver, which may be their 'newer' version (No. 6-A vs. No. 3). 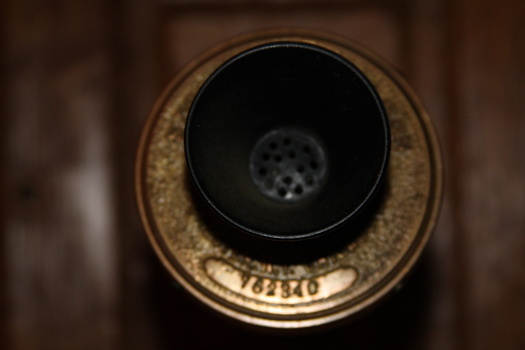 You could also look at the S-C "1901 General Catalog" [ http://www.strombergcarlsontelephone.com/S-C%20PDF/1901%20CATALOG%20GENERAL.pdf ] to see if the same model existed then, and the "1905 Farm Line Brochure & Catalog" [ http://www.strombergcarlsontelephone.com/S-C%20PDF/1905%20S-C%20FARM%20LINE%20BROCURE.pdf ]. 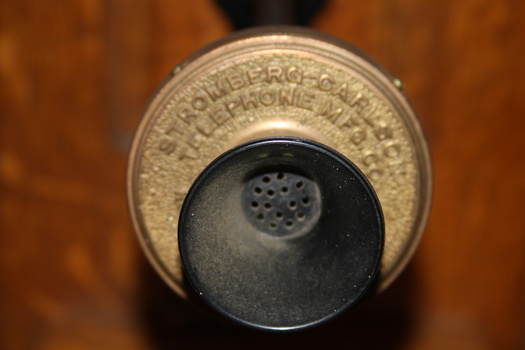 The scans of the original documents are courtesy of the "Stromberg-Carlson Telephone Mfg. Co. Resource Page" website [ http://www.strombergcarlsontelephone.com/ ], which has many more links to document scans and information.